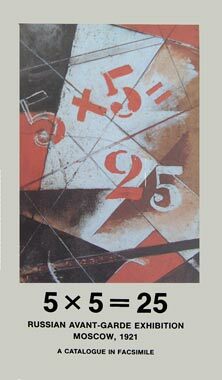 Reviewed by Peter Stupples in New Zealand Slavonic Journal, October 1993: ‘This is a valuable production for the historian of modern Russian art: a facsimile production of the anti-catalogue for the exhibition 5 x 5 = 25 held in Moscow in 1921…. Milner’s essay goes over the familiar ground… but in doing so emphasised very nicely the outlines of the theoretical position of the groups…. Milner’s essay and this facsimile catalogue are very valuable additions to our growing knowledge of a period of debate about art and of original art practice which still astonishes by its audacity.’ Also reviewed in Umbrella, (San Francisco), Oct 1992.